Award winning documentary producer John Antonelli ("Kerouac: King of the Beats," "Yen for Baseball," "Sam Cooke: Crossing Over," to name a few) is focusing his lens on Africa for his latest project, "The Killing Seasons." In the process, this old school filmmaker is tapping into an innovative website and social networking for some of his fundraising. Not that he’s eschewing more traditional methods—Antonelli has received several foundation grants for the film and is pursuing others. But many foundations saw their endowments shrink when the stock market nosedived, so grants are harder to come by these days, even for someone with such an impressive track record. One grant application required a description of the project in 25 words or less. This is what Antonelli submitted: Can wildlife conservation efforts go too far? Two white families. Two African stories. Two vastly different approaches: one ruthless, one collaborative. Two startlingly different outcomes. Antonelli came across both of these stories as part of his ongoing work with the Goldman Environmental Foundation. Since 2004, he and his colleagues at the Mill Valley Film Group have traveled around the world to produce video profiles of all the recipients of the prestigious Goldman Environmental Prize. Each year, the profiles, narrated by Robert Redford, are shown at the award ceremony and then broadcast across the country on PBS and the Sundance Channel. While all of the Goldman winners have amazing stories, Antonelli was particularly moved by the story of Hammer Simwinga, who won the prize in 2007 for his work protecting the wildlife of northern Zambia. Through great personal effort—and risk—he is turning poachers into ex-poachers by teaching them sustainable, more responsible ways to make a living, such as beekeeping and sunflower oil production. Simwinga travels for hundreds of miles a week either on foot or by bicycle to remote villages to deliver supplies and facilitate workshops. He’s building upon the work begun more than 20 years ago by Mark and Delia Owens, an American couple who documented the elephant's alarming declines due to poaching and were determined to do something about it. Their work with park rangers and local communities, and Simwinga’s subsequent herculean efforts to single-handedly keep the program alive has led to a remarkable change in attitude among the villagers and a dramatic rebound in the area’s elephant population. “This is a story that deserves a longer treatment,” says Antonelli. Hence, he has already returned to Zambia—twice—to capture spectacular footage of the wildlife of North Luangwa National Park and to film participants in Simwinga’s program utilizing the skills they’ve learned. The original plan was to produce a documentary solely on the story of Hammer Simwinga and the Owenses. Then Antonelli met Thuli Brilliance Makama. 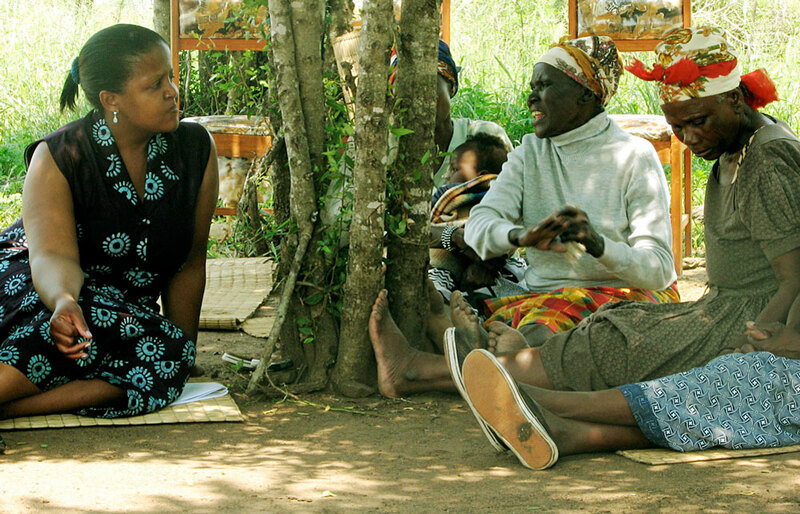 Makama is the only public interest environmental lawyer in the entire country of Swaziland. She won the Goldman Prize in 2010 for her work to insure that local people can play a part in the country’s environmental decision-making process. The bigger story surrounding Makama is almost the opposite of what’s been happening in Zambia with the Owenses and Hammer Simwinga. 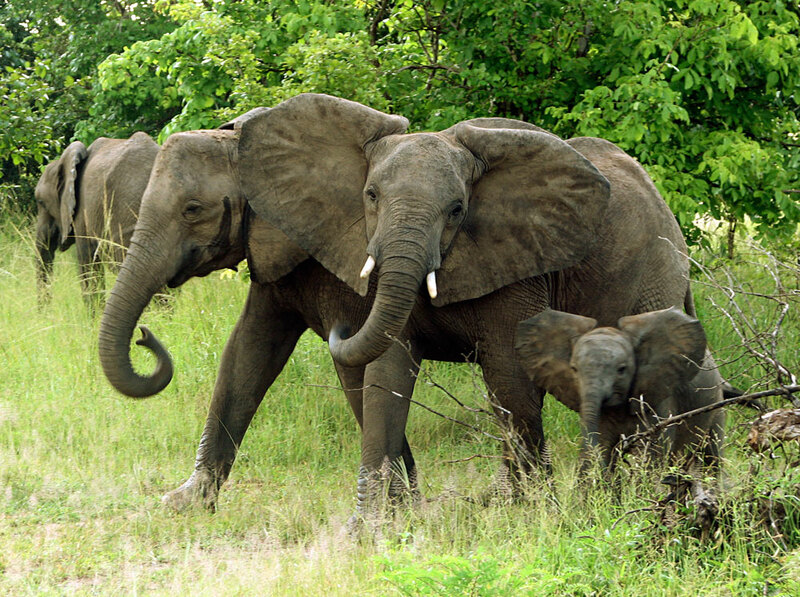 Swaziland has become a major destination for big game hunters and wildlife viewers. A private company called Big Game Parks (which also owns game reserves and manages a national park in Swaziland) has assumed absolute authority in enforcing the country’s Game Act. Moreover, the owners of Big Game Parks—Ted Reilly and his family—actually wrote the Game Act! Thuli Makama is representing villagers against Big Game Parks, and she’s trying to get the immunity provision struck from the Game Act as unconstitutional. She and her staff continue their work year after year despite threats to their safety. Antonelli saw in Makama’s efforts another story that needed to be told in more detail to a wider audience. And he saw it as a perfect contrast to the Zambia story. In both countries, poverty was the underlying problem that led to the poaching issue. 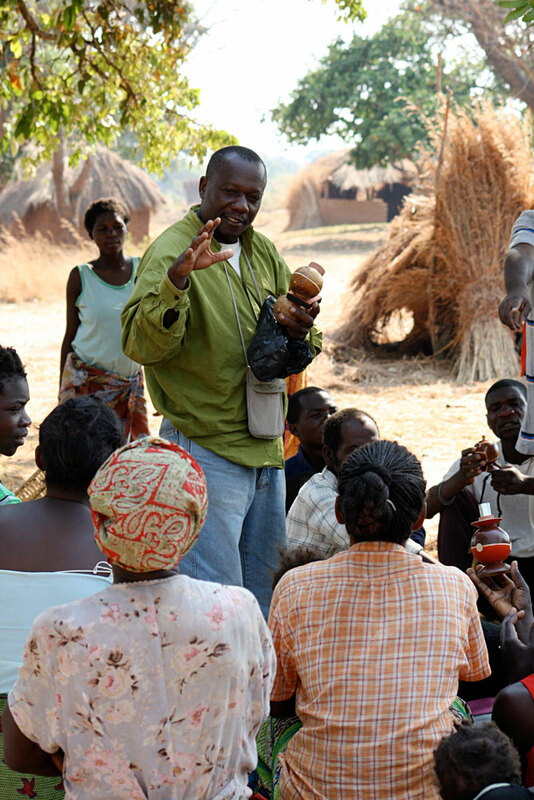 In Zambia, an inclusive, community-based, sustainable model was developed, and it is succeeding. In Swaziland, while the wildlife is doing well, nearly 60 percent of the people are living in poverty. It’s an unacceptable and unsustainable situation. To finance one more trip to Swaziland for a final round of needed filming, Antonelli turned to Kickstarter, a website that facilitates fundraising for projects in the arts. The site features almost any kind of project imaginable, from feature films to comic books to an aerial dance company seeking money to buy trapezes and other acrobatic equipment. The way Kickstarter works is rather ingenious. Using the site’s templates, a project creator sets up a page that includes a description of the project, a profile of the creator, a video pitch and a list of rewards that backers can receive at different levels of support. For instance, at $50 or higher, backers of "The Killing Seasons" can get a Global Focus DVD that contains five years of profiles of Goldman Prize winners, including the stories about Hammer Simwinga and Thuli Makama that inspired Antonelli to make "The Killing Seasons" in the first place; $500 or more entitles the backer to a credit in the film and $10,000 buys a personalized trip to Zambia. The fine print: Kickstarter takes 5% of any money raised by successful projects. An additional 3-5% is charged by Amazon.com in exchange for handling the transactions. Creators must also set a goal and time limit for the fundraising. At the end of a project’s fundraising period, if the goal is met or exceeded, the project is funded and those who pledged to back the project are billed. If the goal isn’t reached, the project and its creator are out of luck—they get nothing and backers are not billed. It’s tricky, because it’s best to set the bar high enough to encourage as many potential backers to pledge as possible but low enough to insure that the goal is attainable. Success hinges on outreach. Projects may attract random backers who happen to be browsing the Kickstarter site, but the bulk of support generally comes from creators’ networks of friends, family and acquaintances. Antonelli settled on a goal of $6,000 and a 30-day fundraising period. That would cover the cost of the Swaziland shoot, though he hoped to raise more and apply any additional funds to the post-production of the film. "The Killing Seasons" launched on Kickstarter on Christmas Eve. The first few days were quiet, but on the fourth day, backers began to climb aboard. Facebook posts by Antonelli, his Mill Valley Film Group partner Will Parrinello and others directed folks to the site. This was followed by email blasts from Antonelli and Parrinello, resulting in a slow but steady stream of pledges ranging from $10 to $500. Antonelli and Parrinello are not letting up. As of this writing, nearly $10,000 has been pledged for "The Killing Seasons." The more they raise on Kickstarter by 3:23 PM EST on Sunday January 23, the less they’ll have to worry about going back to traditional fundraising sources to complete the film’s editing. January 23rd Update: The Kickstarter experiment proved very successful. By the end of the fundraising period, Antonelli had raised $13,180 for his project, well over twice his original goal of $6,000. And he's not through using social networking to raise money. He set up a "Causes" page through Facebook to help cover the post production costs of "The Killing Seasons." Anything donated through that page gets channeled through the San Francisco-based Animal Fund, the 501(c)(3) fiscal agent for the film, so all donations are tax-deductible. For more about 'The Killing Seasons," check out the film’s Kickstarter page. To see a longer version of the trailer than the one posted on Kickstarter, go here. Michael Rosenthal is a three-time Emmy Award winning television producer based in the San Francisco Bay Area and an associate producer on "The Killing Seasons."